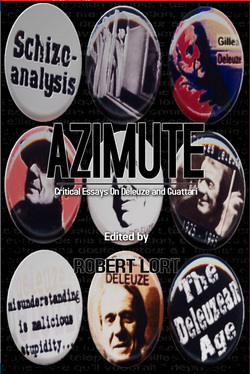 Azimute was a dedicated site for critical explorations and intersections with Deleuze and Guattari. In its decade long existence, Azimute unfurled like a rhizome through virtual space attracting nomadic talents and groundbreaking theorists. Prising out the transversal connections between Deleuze and key innovators like Kathy Acker, Einsturzende Neubaten, Zoviet France, Francis Bacon, Julia Kristeva and Giya Kancheli, these essays culminate in exquisite openings into thought on the margins. Contributors include Barbara M. Kennedy, Robert Lort, K. Osmosis, Kane X. Faucher, Kenji Siratori, Edward S. Robinson, Véronique Rat-Morris and Dylan Trigg.